Battle Packs - Better models? A repeating trend with the starwars battlepack series: the terrible small builds. Sure, some exception exists, notably the quite big rebel speeder bike. On the vast majority however, we are stuck on Imperial forces kind of build, a micro version of a thing beyond recognition or completly made up that you quickly dissasemble or toss in a corner for lack of displayability and to some extend play value. 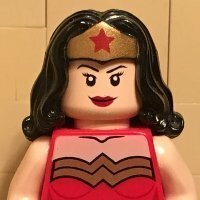 ( To the point of considering selling pieces on bricklink ). What Lego should consider is including models that can actually be displayed and have better play value, ex: instead of a fat mini turret ( FO battlepack ) include weapon crates, some buildable cover, a buildable big weapon like the mega blaster and the such. I think more smaller elements that work are better than an odd construct that most buyers end up putting on the side. Or just do something on scale with the mini figs. Even better, use a system in which buying several sets gives you the pieces for a bigger build with instructions online, a bit like mixels. Of course you can argue that you want a proper build with the minifigs, even if its of less interest, than in a non-battle pack, since the primary reason to buy a battle pack are the minifigs, but I welcome that they have made some more decent builds in the recent packs. Increases display- and play-value. I think with battle packs, you have to look at it this way... You pay (UK Rrp) £12 for 4 minifigure, and get a small bundle of free Lego pieces do do what you want with. I almost guarantee, hardly anyone would bat an eyelid if it was purely 4 minifigure that was sold for £12 with no pieces for a minifigure build (sure, after the initial outcry, which would probably die down)... Because £3 per minifigure isn't really bad at all, considering its star wars. However, I do think the recent mini turret was a pretty good mini build, as well as the little mini speeder in the 75079 pack. I agree the builds in the battle pack are a mixed bag. I was quite impressed by the Death Star gun in the Death Star Gunner/Imperial Guard pack, not just for the model, but it was also a nice parts pack. The turret in the First Order pack may be a bit of a crappy build, but it does contain some quite nice parts, particularly the 2x2x3 corner slopes. I don't mind a rubbish model if it's a good parts pack. The builds are to provide a play element, as these are still toys marketed to kids. The advantage with these sets for me is the cheap cost of minifigures. I could care less about the build to be honest. I hope they are of the quality of the Death Star Turret or Rebel Speeder but I almost exclusively use them as parts packs. If the price stays the same, we keep getting army builders, and they want to change the added buold then thats fine. Otherwise builds should be saved for more expensive sets. I agree that BPs need better builds. Oftentimes the builds are useless, such as the "Turret" in the First Order pack. Walls and bits of scenery would work well, I think, even if Lego added in a flick missile or two. The Death Star turbo laser was pretty cool, and the recent Rebel speeder bike, and the old Hoth Rebel tank (maybe not the best build, but it was reasonably close to proper scale and based on an actual obscure vehicle from the films!)... more along those lines would be nice. There's a Ninjago bike in 70722 that I love so much, I bought parts to build the same bike for the other Ninjago guys and a slightly modified one for Batman. It's a great little build, a much better scale than the recent giant Batcycle or Kai's big red bike from an earlier Ninjago wave, and the perfect kinda thing for a Battlepack (albeit without wheels). Something more like that, less like this. The cheapest I can get these packs is for 18 bucks so I welcome the additional build elements since I use the parts for other stuff and it feels like I paid for the figures and the parts. One thing I wish they would do is make the builds a bit more battle-isn. Walls and ditches or some point of defense. A vehicle is ok but with the limited parts count you can't make anything of substance for "battle." Also I would love if they replaced some of the build pieces for regular non stud-shooting blasters. They can bundle both types in of course but once all the studs are lost I am sure most folk would like something that looks like blaster and not a megaphone on their figures. I prefer the old style figure packs, 6 figures, no hasle with small useless designs. Hardly anybody picks these packs up for the leftover bricks you get with them. No bricks, more figures and weapons/accesoiries for these figures please if you want to continue to up the price on these sets! They have never, and will never, do packs like those for Star Wars due to licensing issues with Hasbro. I don't see why that should be an issue. And if it is issues can be resolved, never does not exist. Maybe not never but contracts are contracts. Hasbro would be very annoyed. Lego already makes so much money from BPs that they probably aren't going to want to start a fuss just to change something that is already very successful as is. Trust me though i would love your suggestion of 6 figures and no build to become reality whole heartedly, but I don't see them changing it to that. Just an FYI for UK members, the current battle packs are down to £6! Grab em while you can! member of what and from where? Hi - do tell us where they are £6. Brick set lowest is £9 and nothing doing on Tesco etc? I may been the only one, but I actually like the mini turret in the FO battle pack. Sure it isn't the best build, but the turret looks way better than most of the other builds in the earlier battle packs as I can tell. I'm fine with the builds in the current battle packs (Except for that Battlefront Imperial battle-pack), but better builds in battle packs in general is always welcomed. yes I thought the turret was OK, its kind of microfighter scale and you can put one of the crew inside the doorway for comedy effect. I think BPs could be made better if they made the vehicles based off of things seen in the movies or at least from other media like games ,tv shows, and etc. The FO BP is one of my favorites because the turret is very similar to the Death Star ones from the OT Imo and the figures aren't too bad either (though I don't think we needed another Gunner but whatever). In all honesty, after taking a look of all the BPs they've made, I like most of them. There's 8084 and 9489 that look a little light on parts but they come with speeder bikes which are always welcome. I love their mini walkers from 8014 and 75089 but I love Imperial walkers so maybe that's just me (also I modified them to make them more gray). 75034 is a great model with great exclusive figures (wish I bought more!). Even some of the worst BPs like 75134 and 75079 can be modified to be made a little better but honestly the figures are the selling point for sure. However Hasbro were quick to call foul as they have the exclusive licence for "action figures", and LEGO's licence is for "construction toys". As long as Hasbro have their licence (and really, the only way to get it off them would be a takeover), I don't think that's going to change. The battlepacks were LEGO's way around that, as they provide a reasonably cheap route to minifigs but have a minimal building component. I don't really care much about the models in them, but if they contain a useful selection of parts, it can really add to the set value. Like anything else, we'd have to pay more. Look at City Police Minifigures Set 850617. That cost more than the Storm Trooper Battle Pack and came with no build. The pieces from the Storm Trooper Pack are by far the best. For 12 bucks, I'm buying minifigs to build an army and getting extra pieces. If they put "better" builds, expect to pay upwards of $40 for 4 minifigs and a decent build. Now what would be nice would be if they did some Alien packs for fillers in MOCs or Droids.